A consortium of pro-entertainment business groups in Los Angeles have banded together to offer recommendations to cities across Southern California, which would make it easier to film location days in the area. A revised Model Film Ordinance and Best Practices (MFO/BP) was adopted by the California Film Commission in May, laying out a standardized set of policies for filming in the state. Now the consortium – which includes the state film commission along with the Los Angeles County Economic Development Corporation (LAEDC), FilmL.A. 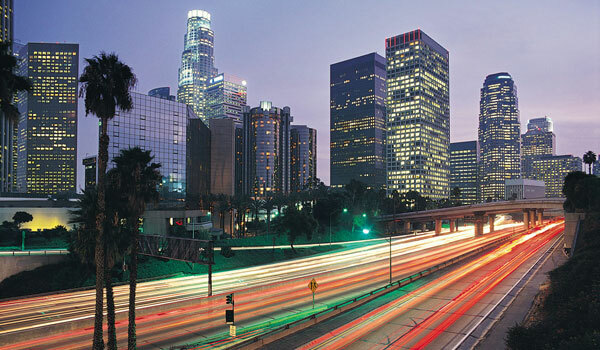 and the Southern California Association of Governments (SCAG) hope to have the policies adopted by local cities as well. Eliminating the city’s business license requirement for film productions. Adjusting the film permit structure to a weekly rate of $650 for the first week and $500 thereafter. Reducing the advanced notice requirements from two weeks to five days. Requiring law enforcement on an as-needed basis only. Reducing the radius required to notify businesses and residents of filming from 500’ to 300’. Reducing the radius required to survey businesses and residents of filming for extended hours from 500’ to 300’. SCAG’s regional council voted unanimously earlier this month to encourage its 191 member cities and six counties to adopt some version of the MFO/BPs. In making their case for change, the consortium points to some 176,700 jobs and $30 billion in spending the entertainment industry is estimated to bring to the region. A 2005 report commissioned by the CFC reported that 10 “feature films” (budgets greater than $70 million) that leave the state means a loss of $106 million in state revenues… in addition to high value jobs and less quantifiable losses to ancillary small businesses such as hotels, restaurants and dry cleaners. The group is concerned that if it is easier to film in other, tax-incentive-rich states, it will give filmmakers that much more reason to go. This entry was posted in Film, Los Angeles, Tax Incentives and tagged California Film Commission, film tax credits, FilmLA, Glen Becerra, LAEDC, Paul Adley, SCAG. Bookmark the permalink.